Columbus foodie bloggers are a perfect addition to the food scene in the city, allowing followers and residents to find new places to try. Here at Arch City Tavern, we love working with local bloggers who enjoy a good meal while expressing themselves creatively. 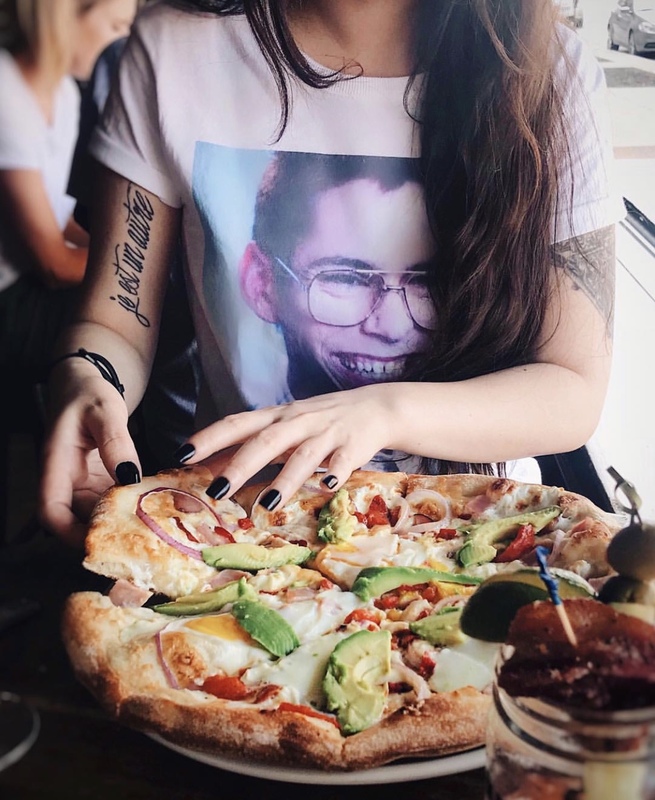 With that being said, we are excited to share our foodie blogger of the month: Rebecca formerly known as @eatingb00ks on Instagram. Rebecca has made her way through an array of restaurants located in Columbus, ranging from pizza joints, pancakes houses, small pubs, and anything in between. We had the pleasure of meeting Rebecca as she dined in Arch City Tavern for our weekend brunch, where she and her guest ordered a refreshing mimosa and savory housemade bloody mary. (Because who can just choose one, right?!). They decided to split the breakfast pizza which consists of eggs, ham, peppers, onion, roasted garlic, avocado, mozzarella, and gouda. Shew, what a mouthful! We want to thank Rebecca for stopping by Arch City Tavern and joining us for brunch! We loved meeting you and wish you the best in your foodie adventures! No Replies to "Foodie Blogger of the Month"